Situated in the fertile Segenhoe Valley just five minutes from Scone, Vinery Stud is nestled in the epicentre of the Thoroughbred Breeding heartland and is one of the most ideal thoroughbred nurseries in Australia. Encompassing more than 2300 acres including 3km of frontage to the Pages River, lush irrigated pastures extend to rich undulating paddocks for the young developing stock beneath an array of softly protected valleys for winter protection. Vinery Stud has the perfect balance of river flats and rolling hills and is renowned for the quality and toughness of the thoroughbred stock it has produced through the years. The property has an abundance of underground water (wells), a vital natural resource that this valley is renowned for. The soil has great depth and quality, and is rich in minerals, trace elements and nutrients necessary for nurturing growing stock and guaranteeing they have every opportunity to fulfill their potential. A number of improvements undertaken over the past decade have ensured Vinery’s facilities are second to none. The quality and value of the bloodstock on Vinery deserve the of best care and personal attention to ensure all young stock are reared safely and professionally to Vinery’s high standards. Our professional and enthusiastic staff aim to provide all breeders and clients with the most comprehensive of care for their bloodstock requirements through a variety of services including agistment, foaling, education, walk outs, sales preparations and marketing. We take great pride in the Stallions we select to stand at Vinery and look only to stand stallions we believe are best suited to the Australian racetracks and bloodlines. 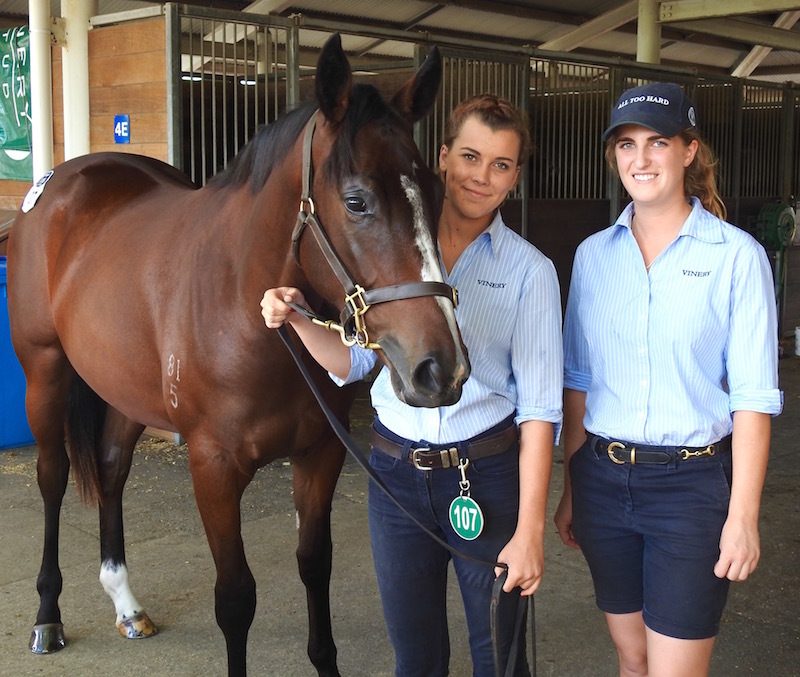 Vinery will always look to the future in sourcing great stallions for our clients to upgrade and outcross our broodmare bands rather than follow trends of the day. With three Vinery stallions in the Top 10 General Sires list for the last season in More Than Ready, Red Ransom, and Testa Rossa we are more than satisfied with our commitment and direction. We look forward to continuing this shared success in the seasons to come. Our doors are always open to clients and visitors wishing to view the stud and its facilities. Simply contact us to make an appointment and we’ll gladly show you why we are so proud of this Stud and its achievements. Come join the Vinery experience where with strong commitment to its owners and with the enormous support of our loyal clients, we will continue to stand stallions best suited to succeed on the racetracks and in the sale rings of Australasia. THERE are few more seminal areas that drove the growth of New South Wales in its fledgling colonial days than the Hunter Valley, and at its very heart is the historic Vinery Stud. Settled in the 1820’s this magnificent property was settled prior to the Scone Township and was known as “Segenhoe”. Lush green pastures divided by fresh free-flowing rivers and creeks allowed for a range of agricultural activity that made the citizenry of the day self sufficient. This valley is now the heartland of Australian thoroughbred breeding, with studs such as Arrowfield, Darley, and Kia Ora taking up position around the original homestead and prime land that is now Vinery. Having acquired the land, a ship was purchased, managers hired, and people, livestock (including horses), and building essentials were dispatched to Australia. By 1829, Segenhoe was fully operational and boasted a community post office, hospital, police station, jail, homestead, church and schoolhouse, some of which are still present today. At its peak the property was home to one of the largest contingents of convicts in the new colony. Despite this success, the property was eventually subdivided and sold off with the homestead and outbuildings becoming part of a 1,010 hectare holding that retained the Segenhoe name until becoming Vinery in 1998. Whilst there were thoroughbreds on McQueen’s ship, a Stud was not established until 1913, when William Brown set up a thoroughbred stud on the property. However, it was new owner Alan Cooper in 1931 that really established Segenhoe at the fore front of Australian breeding. Cooper was determined to produce quality thoroughbreds and paid a then record price of (19,000 pound) for AJC & Victoria Derby winner, Talking before selling the property to the famed Lionel Israel in 1938. Mr Israel ran the property for the next 48 years and during this period was most closely associated with the great Kaoru Star and dual Broodmare of the Year Humour, whose grave’s are still maintained on the property today. This period ensured the property would forever be renowned for producing quality thoroughbred bloodstock. In 1986 the property was bought by Sydney property developers Tony Bott and George Parlby and four years later it changed hands again when a group including Michael Sissian took a stake in the property. Eventually Michael Sissian would own the property outright before selling to an American, George Hoffmeister, in the late 1990’s and taking the Segenhoe name with him to a smaller holding nearby. Hoffmeister already owned and operated Vinery Farm in Kentucky and had purchased the iconic Hunter Valley property in order to “shuttle” his Vinery stallions between hemispheres. 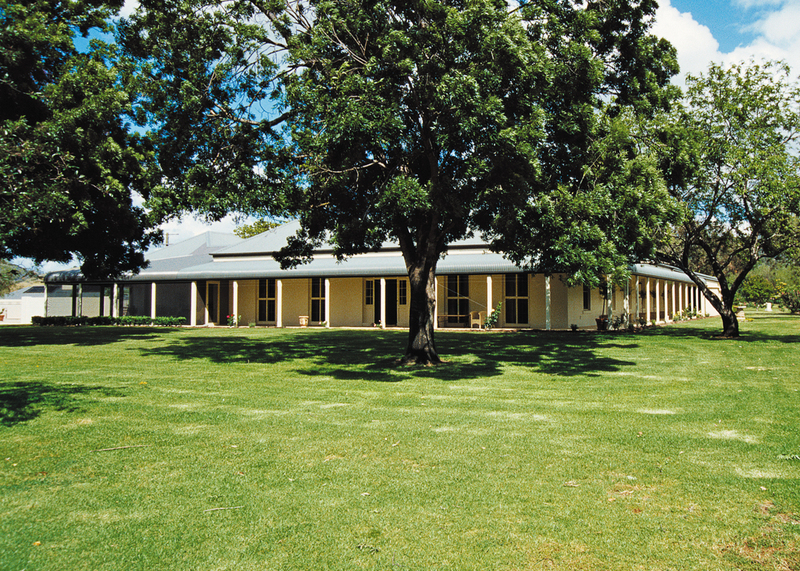 The magnificent property was renamed Vinery and the dual hemisphere operation opened its doors in 1998. Not long after, the entire dual hemisphere operation was bought by Dr Thomas Simon, who already had a significant number of quality broodmares at a boutique breeding operation named Roselands in Victoria. 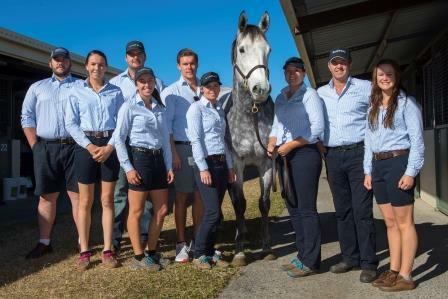 In 2000, present-day General Manager Peter Orton was appointed to run Dr Simon’s Australian thoroughbred interests, which resulted in the Hunter Valley property becoming the premier breeding establishment it is today. In 2005, Dr Simon joined forces with several of Australia’s most successful breeders and businessmen forming an Australian partnership which directs Vinery today. With its origins built on hope and determination almost two centuries ago, modern-day Vinery is little different in its philosophy to what its predecessors had dreamed. Despite the passing of time, the Vinery property is still very much the heart and soul of men and women with aspirations to succeed.